First registration date: Unknown First registration where: Germany? 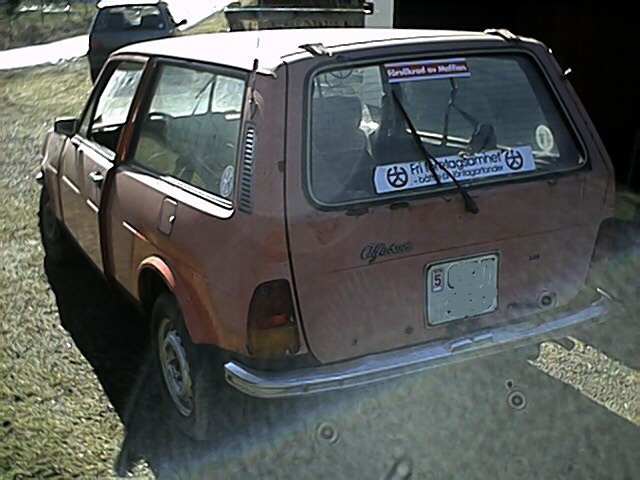 Vehicle history: An early Giardinetta which ended up in Sweden somehow. 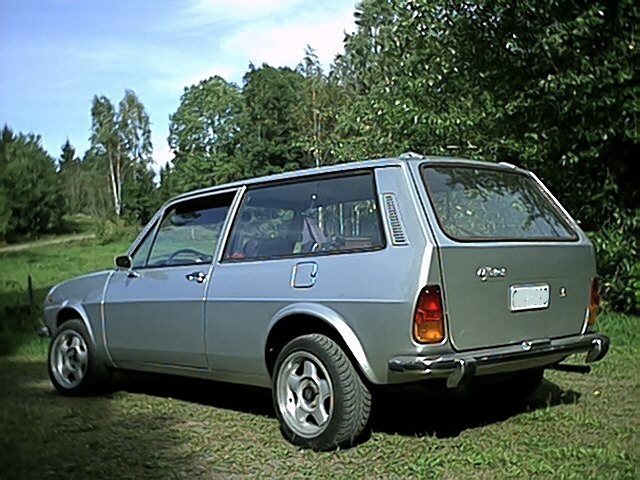 It was most probably sold initially sold in Germany and later imported into Sweden. 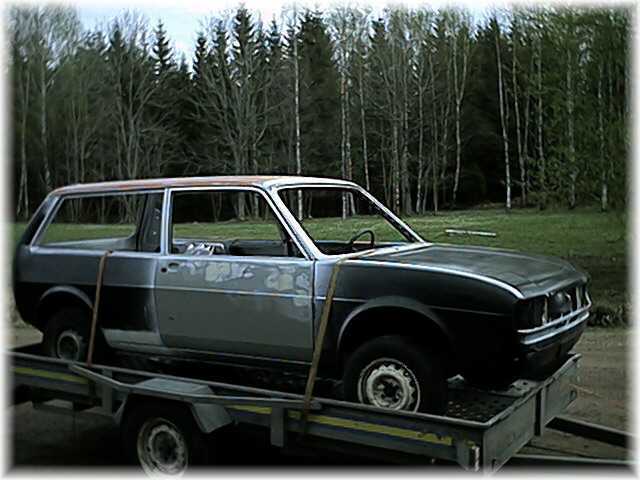 The second owner in Sweden, who bought the vehicle after a 10 year out of order condition including a 2 year outside storage, conducted a very extensive restoration was executed to get the car back in a roadworthy condition. 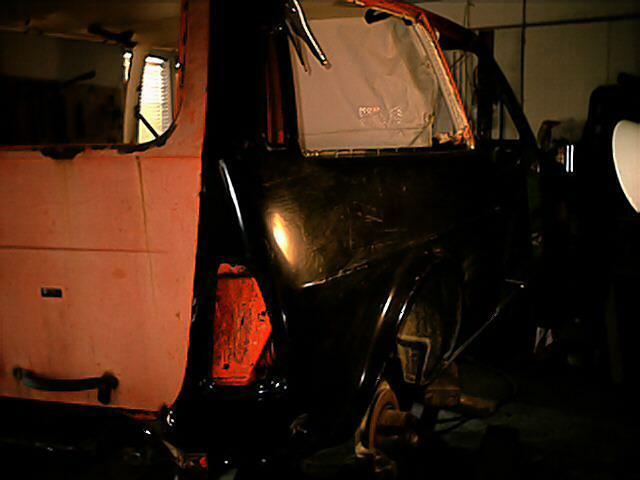 The photos below are all courtesy of the former Swedish owner who carried out the restoration. 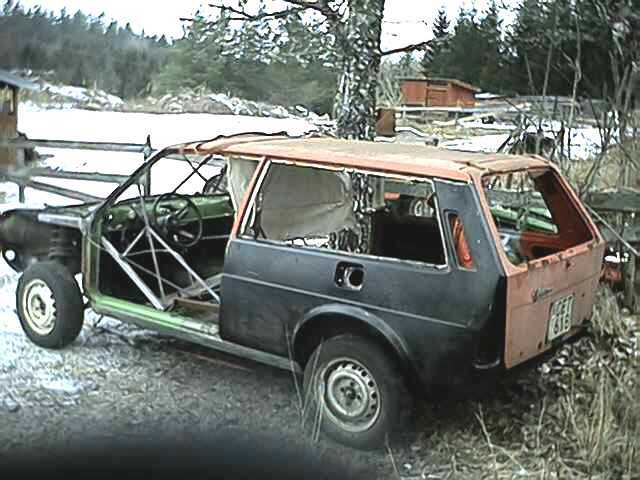 A Verde Mateze 4-door Alfasud was sacrificed to replace the completely rotten chassis of this Giardinetta. 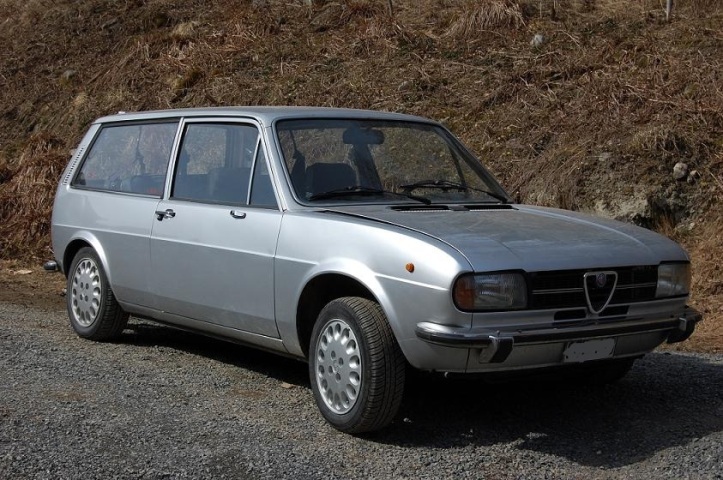 In the pictures below it is clearly visible a Verde Mateze Alfasud chassis was combined with the Rosso Corallo del Greco Giardinetta base vehicle. The amount of work put into this car is amazing. 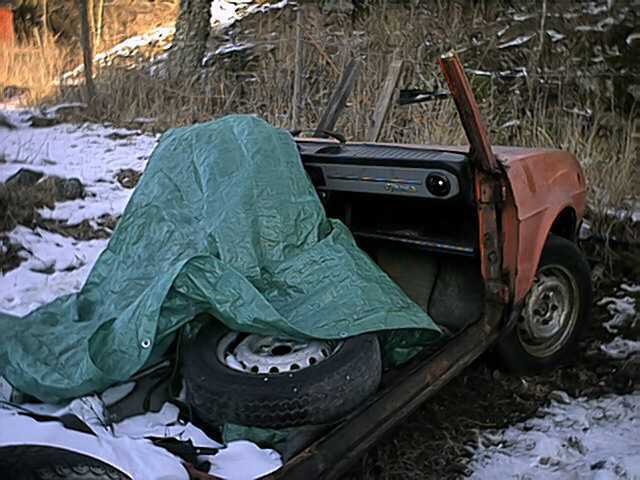 The car was offered for sale in Sweden (status Feb.'12). The car was sold to a new owner in the city of Stockholm. 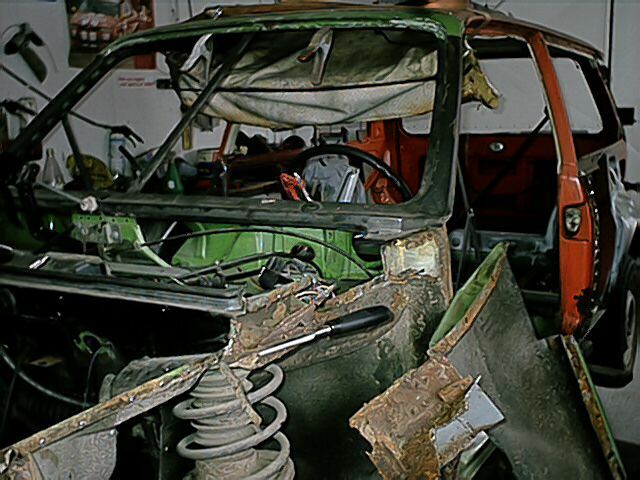 Original condition of vehicle before restoration started. Pretty bad! Picture courtesy of J.von Boisman. Chassis of Giardinetta completely rotten away due to 2 years outside storage. Picture courtesy of J.von Boisman. Verde Mateze Alfasud Berlina front end and chassis joined with original Rosso Alfa body. Picture courtesy of J.von Boisman. Left hand side front wing mounting rail restored. Picture courtesy of J.von Boisman. 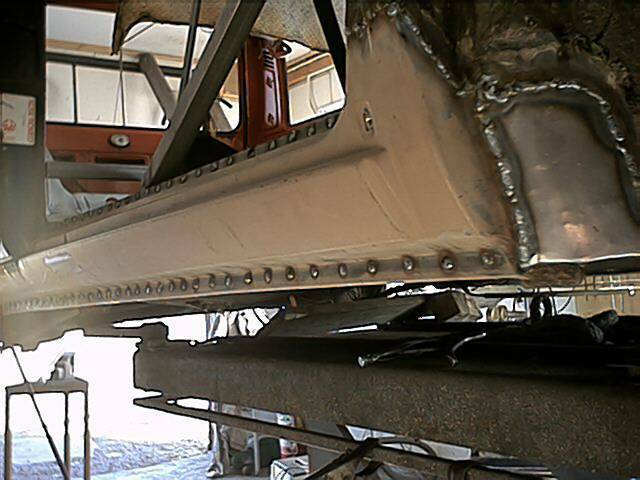 Right hand side front wing mounting rail during restoration process. Picture courtesy of J.von Boisman. Right hand side front wing mounting rail restoration finished. Picture courtesy of J.von Boisman. New windshield frame to e joined with original Rosso Corallo del Greco roof. Picture courtesy of J.von Boisman. Verde Matze outer windshield frame clamped into position. Picture courtesy of J.von Boisman. 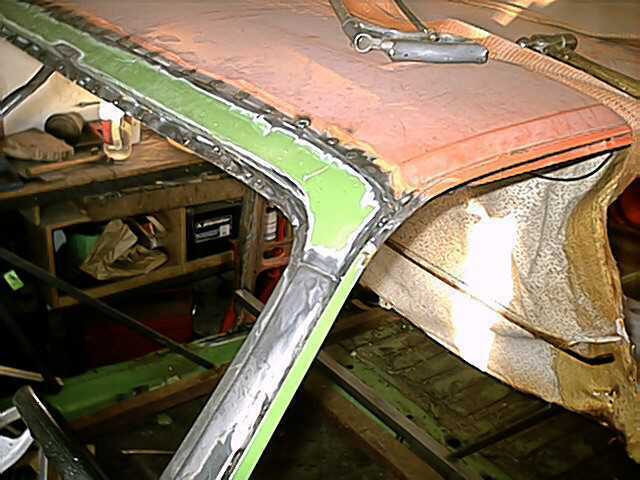 Verde Matze outer windshield frame & original Rosso Alfa roof welded together. Picture courtesy of J.von Boisman. Rosso Alfa rear right hand outer wing removed, again very rigorous. Picture courtesy of J.von Boisman. 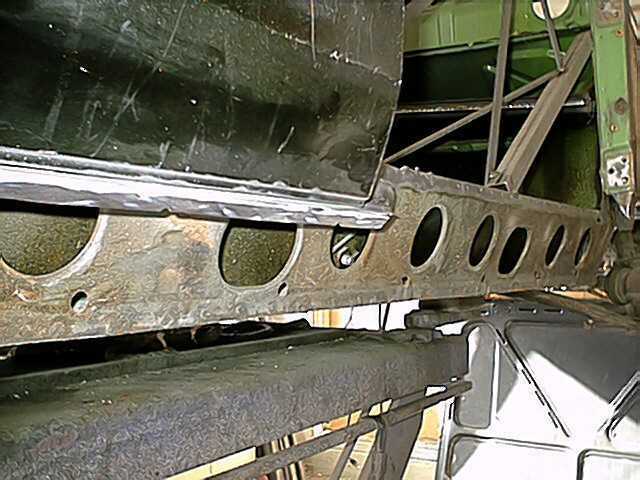 Brand new rear right hand outer frame welded in position. Picture courtesy of J.von Boisman. 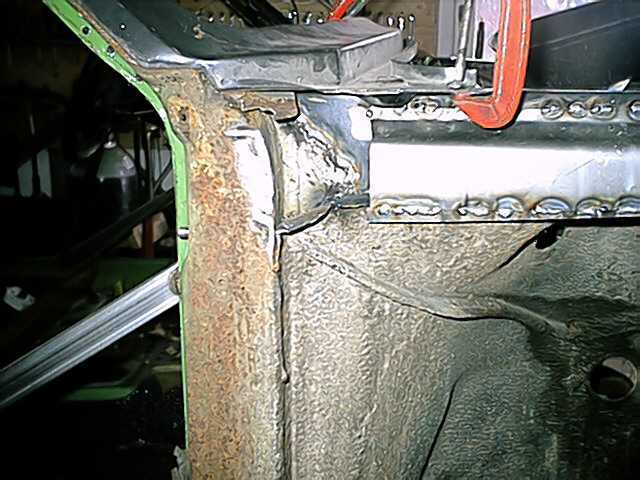 Brand new rear left hand outer frame also welded in position. Picture courtesy of J.von Boisman. Right hand sill removed. Picture courtesy of J.von Boisman. 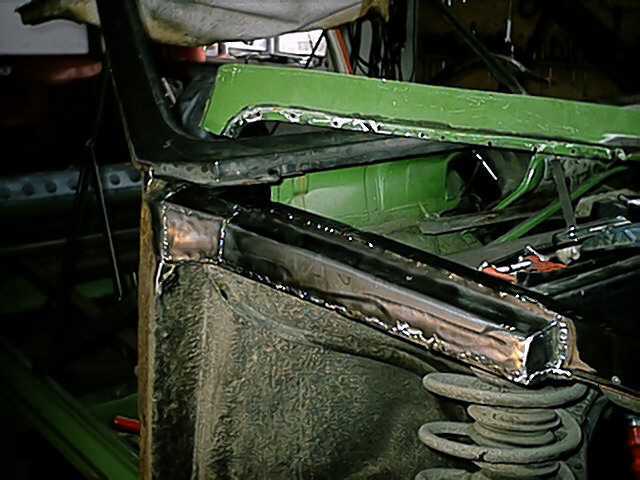 Brand new right hand side sill welded in position. Picture courtesy of J.von Boisman. Giardinetta boot with typical rust damage around window frame & riveted boot lever. Picture courtesy of J.von Boisman. Interior painted in new colour silver grey. Picture courtesy of J.von Boisman. Restored body ready for painting. Picture courtesy of J.von Boisman. 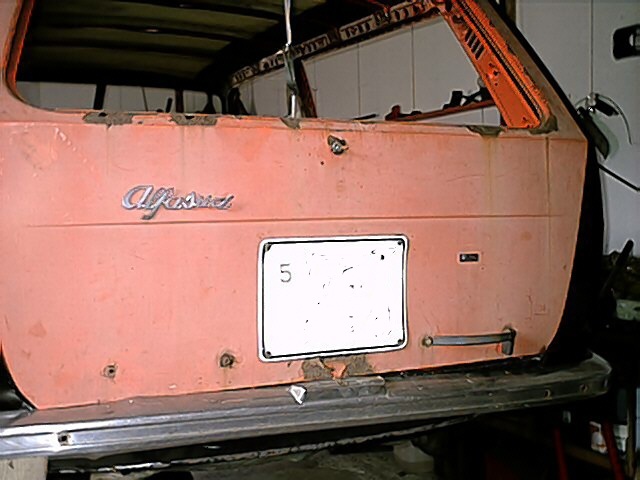 Alfasud TI first series personalised with red coloured centre section. Picture courtesy of J.von Boisman. 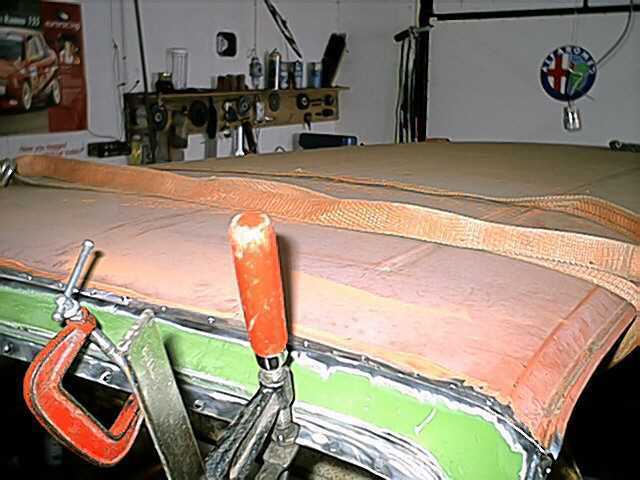 Giardinetta ready after very extensive restoration. Picture courtesy of J.von Boisman. First series Alfasud TI headlights mounted & wheels changed. Picture courtesy of J.von Boisman. Giardinetta after very extensive restoration. Picture courtesy of J.von Boisman.